Our Veterinary Pathology Centre houses a multidisciplinary team of veterinary scientists, microbiologists, pathologists and immunologists, who work together to better understand disease processes in humans and animals. 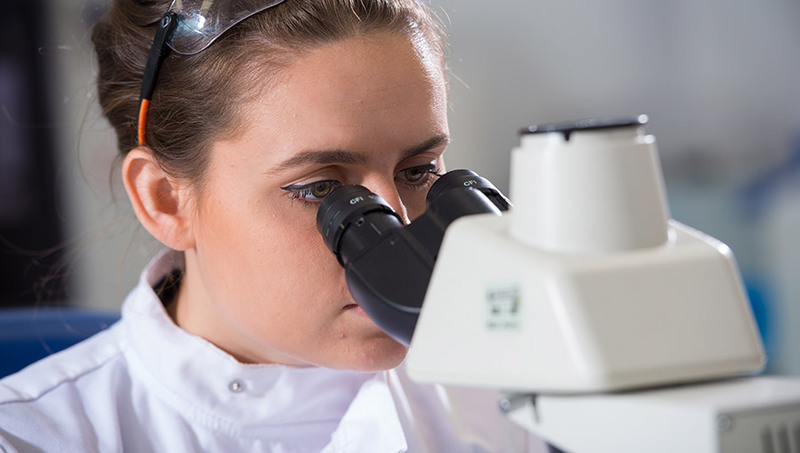 We offer research pathology services to the scientific community, including those working in medical and veterinary research and higher education institutions, government laboratories and commercial organisations. We offer advice on study design, tissue processing and a full histological interpretation service, as well as a number of histological and immuno-histochemical techniques in our state-of-the-art Veterinary Pathology Centre. Slide scanning and digital image analysis is also available. Pricing is valid from March 2019 and may be reviewed annually. Our focus is on understanding the way in which the disease process develops in the host and in the environment, with a particular focus on new and emerging and zoonotic diseases, including Rabies, Prions, Campylobacter, E. coli, Brachyspira, Bluetongue, Classical Swine Fever, PRRS, Schmallenberg, MRSA and TB. Recently published papers can be found here. Our research influences the ways we think about, understand and therefore control disease processes. Our close working relationship with the Animal and Plant Health Agency (APHA) and the Pirbright Institute provide excellent opportunities for interdisciplinary research. The response of the immune system to pathogen challenge and how it can be modulated to help control infectious diseases is an important area of research in our department. In particular we are interested in the molecular dissection of the immune response to viral infections to better inform vaccine design. The role of the normal flora in modulating responses to pathogen challenge is also an area of interest with a number of projects exploring the metagenome of animals and humans in health and disease. Pathogen evolution and understanding the molecular basis of pathogenesis is also a focus and the department works closely with the bioinformatics and genetics groups. The department also has a strong focus on antimicrobial resistance, including the emergence of antimicrobial resistance and how it influences pathogen fitness and the development of novel control strategies including vaccines and probiotics. Close links with our veterinary partners and the Royal Surrey County hospital have also facilitated research projects to understand the pathogenesis of diabetes, neoplastic disease and neurological diseases in animals and humans.